Cherie Gruenfeld, how does it feel to join an exclusive club of sports heroes that includes Muhammad Ali, Michael Jordan, Tiger Woods, Mark McGwire and Mary Lou Retton? "It feels really terrific," said the 57-year old Ironman Hawaii age group champion from Blue Jay, California, of her spot on the box of a new offshoot of Wheaties cereal. "I can remember myself as a kid, and even as an adult, sitting at the breakfast table or walking in the store and seeing a Wheaties box with an athlete I thought was pretty cool. Now I am one of those people." Gruenfeld was sitting at a dinner in New York on December 11 before the unveiling of the new Wheaties Energy Crunch box, when General Mills' master of ceremonies Mary Lou Retton -- who appeared on the Wheaties box after her 1984 Olympic gold medal in gymnastics -- said a few words. "She said her brother thought it was pretty good that she came home with five gold medals," said Gruenfeld. "But he was really impressed when she showed up on the box of Wheaties." Getting your mug on a box of Wheaties may be an unofficial accolade, but it is an ultra-prestigious and probably definitive form of the American sports hall of fame. And that honor befell Gruenfeld, who was chosen, among some 10,000 applicants, to become one of the six winners of the inaugural "Search for Everyday Champions" who would grace the first boxes of General Mills' new Wheaties Energy Crunch. After the December 12 formal announcement, Gruenfeld got to experience a little of what it is like in the sports celebrity fishbowl. When Gruenfeld returned to Blue Jay, she quickly did a morning workout, then visited the Cypress Elementary School in San Bernardino, where she conducts a volunteer triathlon training and racing program for a dozen children -- seen in a segment on the NBC coverage of this year's Ironman Hawaii. "I thought I'd stop by for 20 minutes, but they made me go from class to class and speak to all 800 kids at the school," said Gruenfeld, who posed for endless pictures with students and teachers. "They were thrilled because the school was mentioned with my picture on the box, and they felt they were a big part of it. And of course they are!" When Gruenfeld spoke, it was with feeling about belief and possibility. "I told every class that it was a fact that they now knew someone on a Wheaties Box, and some day, with hard work and dedication, it is a fact that one of them can be on a Wheaties box, too. I told them ‘Look, what happened to me can happen to you if you are willing to set a goal and work hard.'" Gruenfeld is a former special education teacher and high tech executive who came to triathlon in the early 1990s after a successful marathon career capped by a 3:07 personal best. 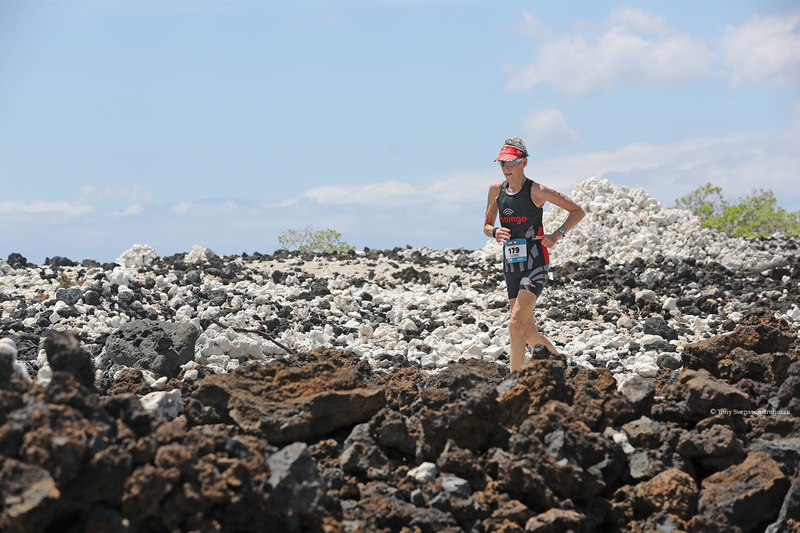 With the encouragement of her novelist husband Lee Gruenfeld, she graduated from short triathlons to the Ironman distance in 1992, earning an age group ninth in her Ironman Hawaii debut that year. 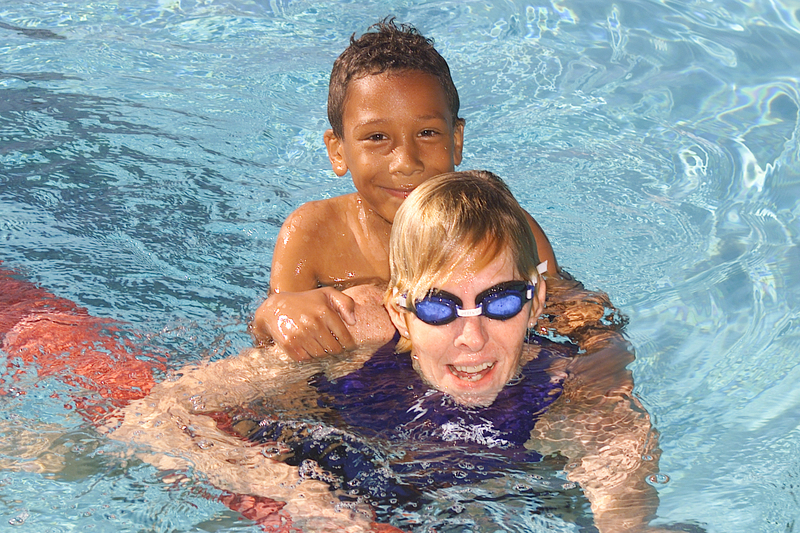 She worked her way up to an age group fifth in 1993, then took age group wins in 1994 and 1995. She was second and third in 1996-98, then scored three straight age group wins in 1999, 2000 and 2001, achieving a personal best of 11:58 in 2000 at the age of 56. Gruenfeld was simply invited to appear as a guest speaker at the Cypress Elementary "Exceeding Expectations" lecture series on December 1, 2000. 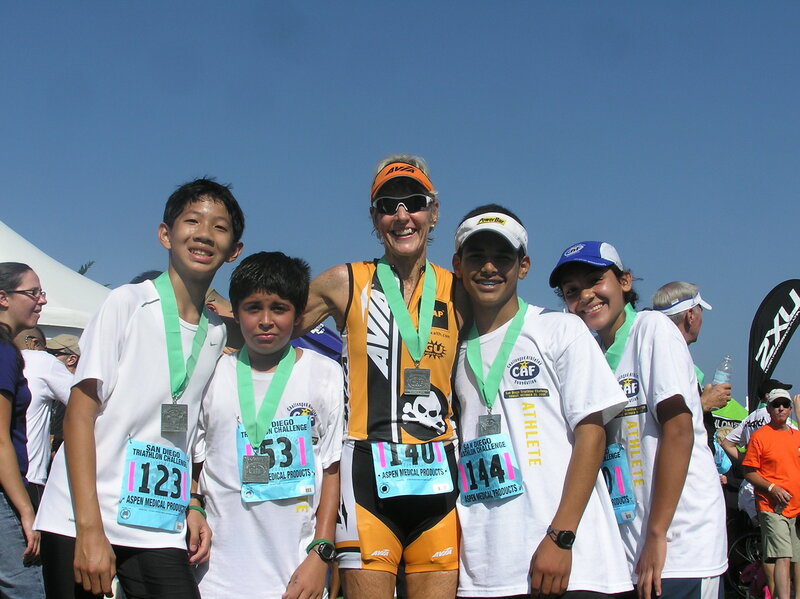 "They wanted people who could serve as role models to speak to the kids about setting goals and working hard, and of course I showed them an Ironman video and talked about my Ironman experiences," said Gruenfeld. "There were 200 fifth and sixth graders there and somehow they got really involved with this Ironman thing. They asked really good questions. Afterwards, I told a few teachers there was a short triathlon suitable for kids in Redlands in February, and if any of their students were into trying it, I would help them train. Well, when the teachers asked the students, 200 hands shot up in the air."